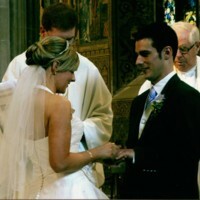 A photo of Ita McClelland's niece and groom during their wedding ceremony. 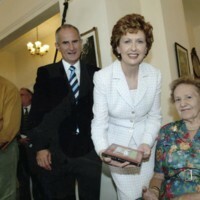 A photo of Maisie McNailly with then President of Ireland, Mary McAleese. 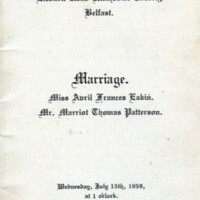 The service booklet from the marriage ceremony of Avril Patterson (nee Eakin) and Tom Patterson.